SMS is big. Really big. Today’s advertisers are turning to business text messaging to capitalize advertisement opportunities, and they’re not letting up. Each texting service for business ventures caters to well-known techniques and innovative solutions alike. It’s hard to find an advertisement avenue untouched by the power of SMS. In the advertising world, immediacy is king. Your brand can’t spend time mocking up campaigns, printing material and deciding on message content. It needs to act, and it needs to act now. 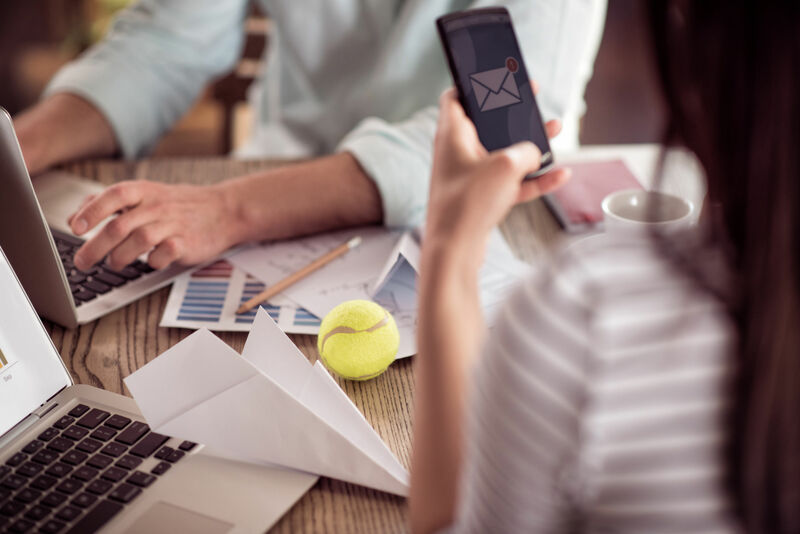 90 percent of text messages are read within three minutes of receipt, and advertisers are taking advantage of the always-connected consumer mindset by simply selecting a custom-tailored text messaging service for business. That’s right: Consumers prefer SMS. In fact, a text message’s ability to be personal is prioritized by the everyday buyer facing information overload. Think about how many advertisements you see per day. How many do you remember? Put the ad where it counts: In the buyer’s pocket. SMS’s low cost and ease of use is responsible for its high popularity. Mobile holders are constantly strapped for time, and your advertisement recipient requires quick, concise messages to stay tuned. In the United States, nearly 25 percent of all texts are sent by individuals ages 10 to 25. Individuals over age 35, meanwhile, account for 60 percent of all texts. What does this mean? It means adults, while accounting for the most texts, are a grouped-up bunch. The world is fast-paced, and advertisers are losing money to the downfall of television, the advent of digital workplaces and the always-moving business professional. To save time, money and effort, the same advertisers are prioritizing mobile-based advertising. If you’ve settled the score with SMS, you’ll need to help it aboard. Unfortunately, a lot of advertisers still struggle with finding a viable SMS campaign audience. Fortunately, bulk SMS software providers provide built-in tools to capture the crowd your brand needs. Providers like Virgin Mobile, too, offer programs like Sugar Mama to promote mobile advertisement campaign growth. Sugar Mana rewards Virgin Mobile subscribers with free minutes in exchange for clicking mobile web banners and responding to advertisement SMS. While you might not want to use Sugar Mama, you should still aim to collect contacts. Hook into Facebook, Twitter, Instagram and Snapchat. Pull your brand’s biggest fans, and entice them with SMS-based rewards. If you can garner a fan base, you’ll garner advertising success. Use your bulk SMS sender to gather data. Then, use the data to target like-minded subscribers. Segment your audience, craft relevant texts for each bracket and inspire your followers on a repeat basis. Each year, 2.27 trillion texts are sent in the United States. You’d be right in assuming there’s a lot of “white noise” going around. If you want to make your advertisement campaign relevant, you’ll need to make sure it sticks out. To do so, you’ll need to make sure the consumer’s average 20 texts per day include a memorable deal. First, you should implement a QR code program. QR connects the digital world with reality-based deals and services. Sure, you might be aiming to advertise via SMS, but your text program will fall on its face if it isn’t tied into a brick-and-mortar location. Offer QR codes, and convince potential followers to scan them. Use the results, fortify your real-world scan strategy and offer text-based redemption offers for your consumers. QR codes have become mobile advertisement cornerstones, and they’re quite useful when implemented correctly. Next, you should implement a mobile keyword program. By offering “Text THIS to win” messages, you can profit from the consumer’s inherent love of discounts, amenities and purchasing options. Short code texts win subscribers, power advertisement campaigns and secure ongoing brand appreciation. For this reason, social media and email marketers have sunk their teeth into SMS. The world of SMS is big, and it offers great potential. Once you’ve secured your main advertisement audience, you should focus on retention. Always make brand awareness an end-game goal. Similarly, boost subscriber retention by offering loyalty program deals, text-to-vote options and rich multimedia. It doesn’t end with an external link, a digital banner or SMS short codes. Build your strategy, reward loyalty and give your audience the attention it deserves.